← Spring is underway at last. 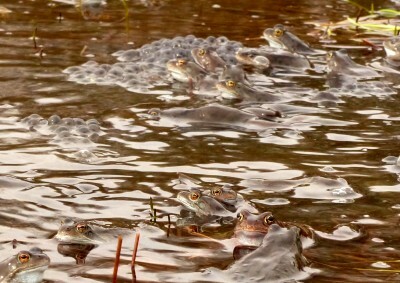 I was getting a bit worried that the frogs had not reappeared in Ramsley. 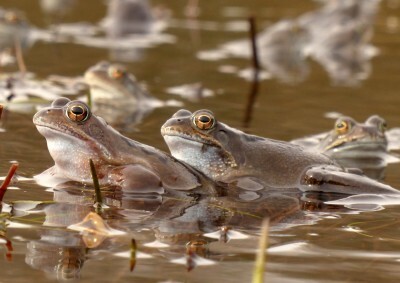 Last year I saw them first on the 6th March, and 2 days ago there was still no sign whatsoever. 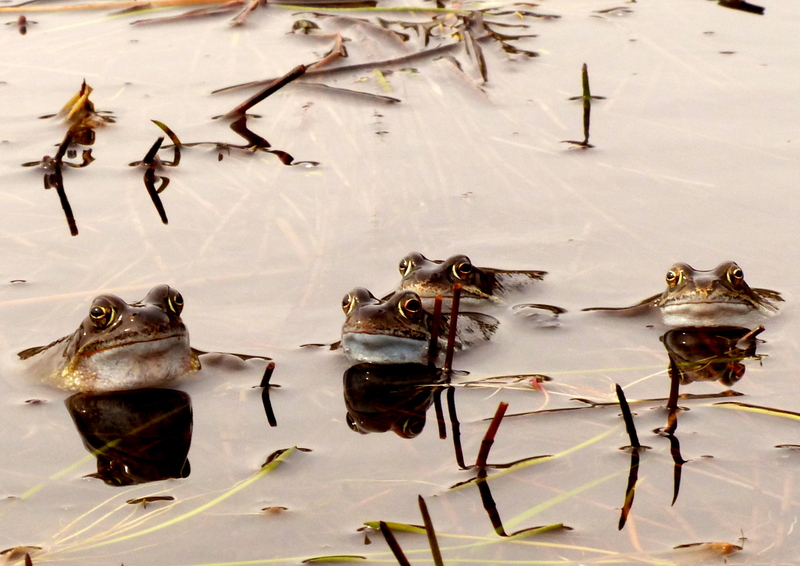 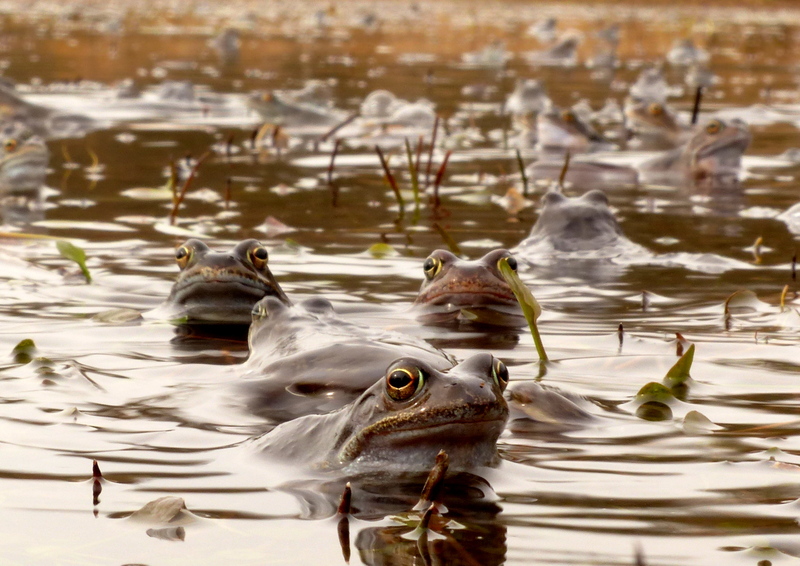 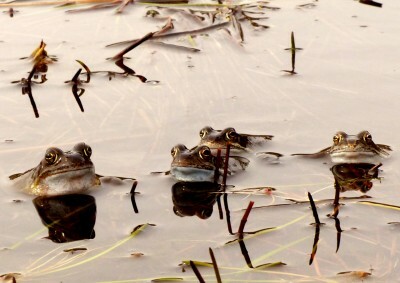 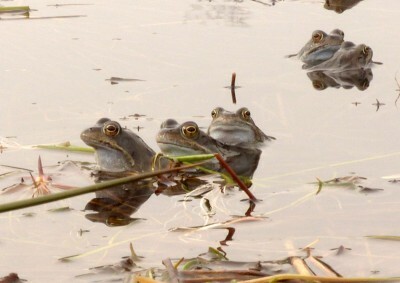 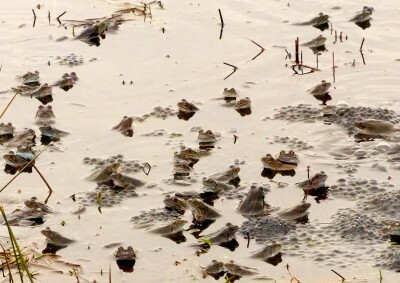 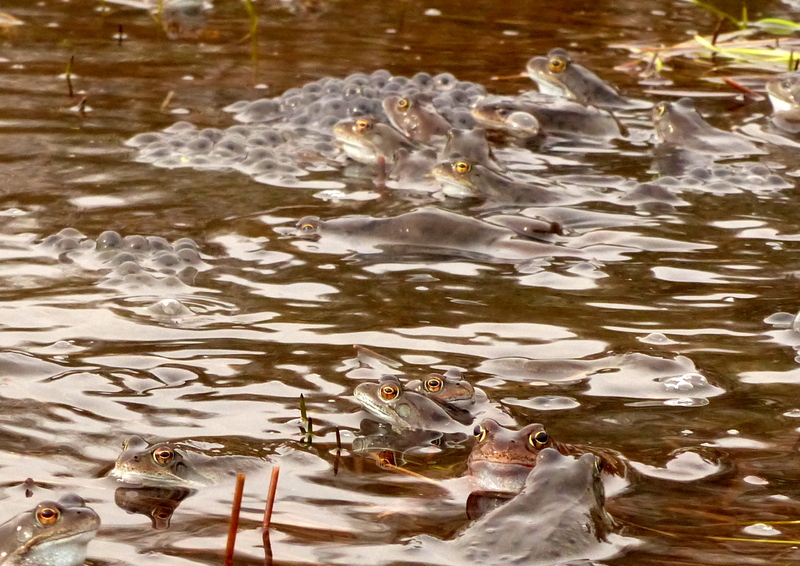 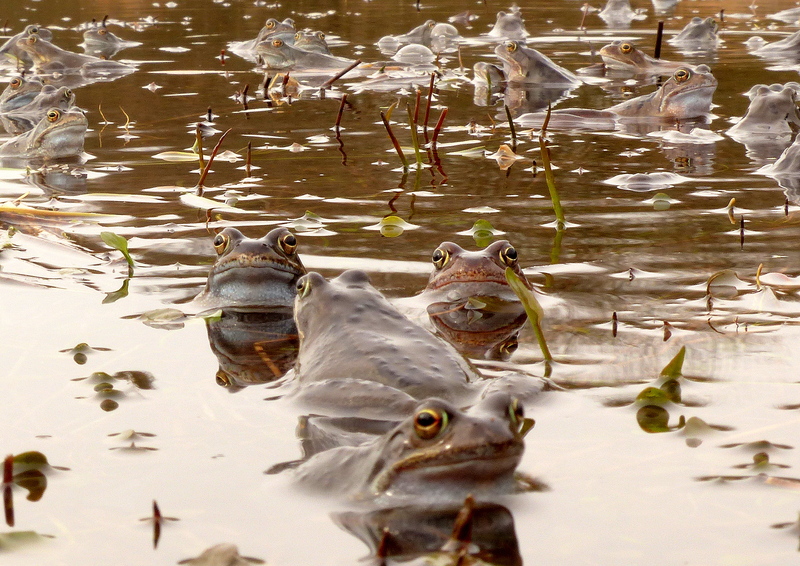 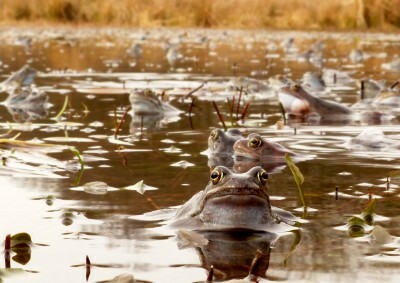 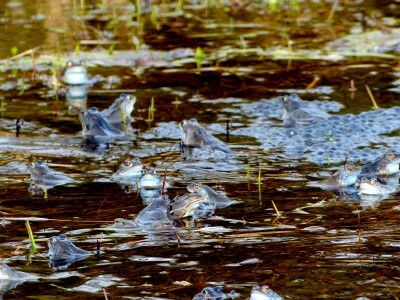 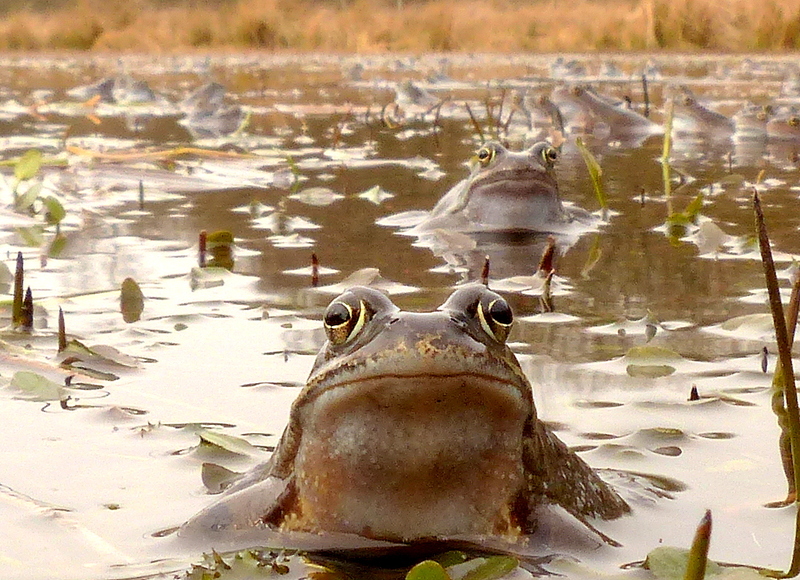 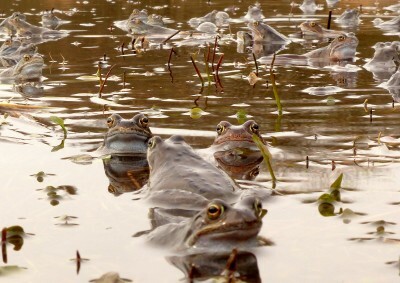 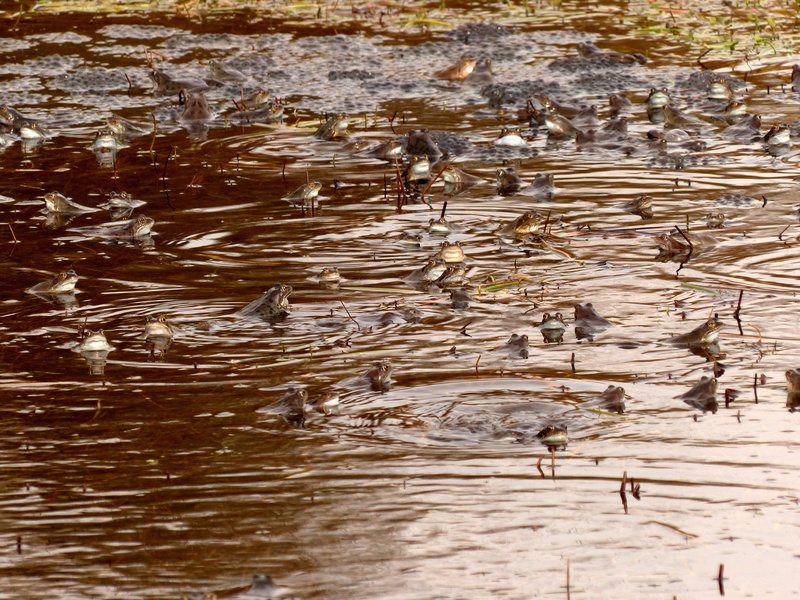 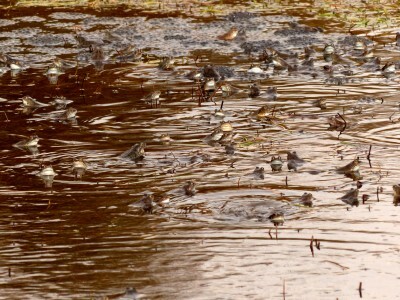 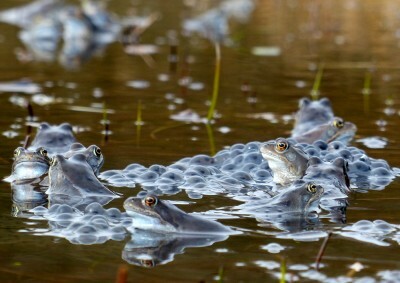 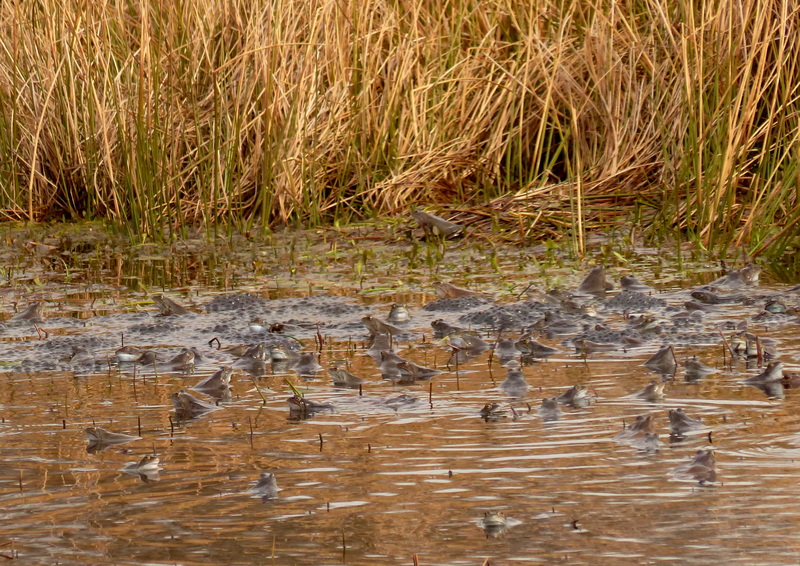 But… you wait for one frog and then 200 appear all at the same time! 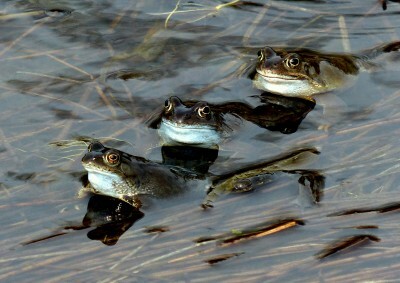 Another week or so and the toads will be putting in an appearance. 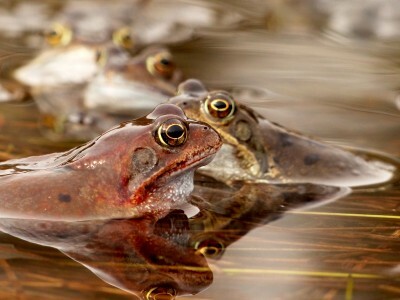 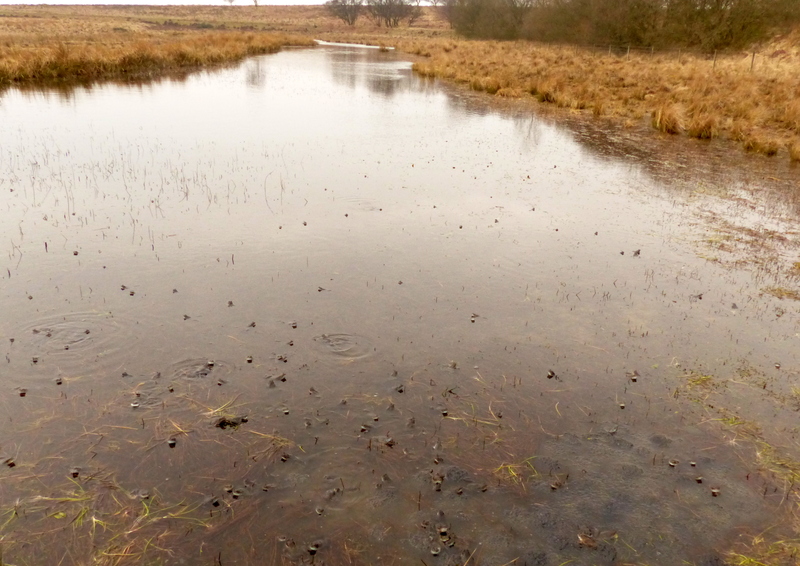 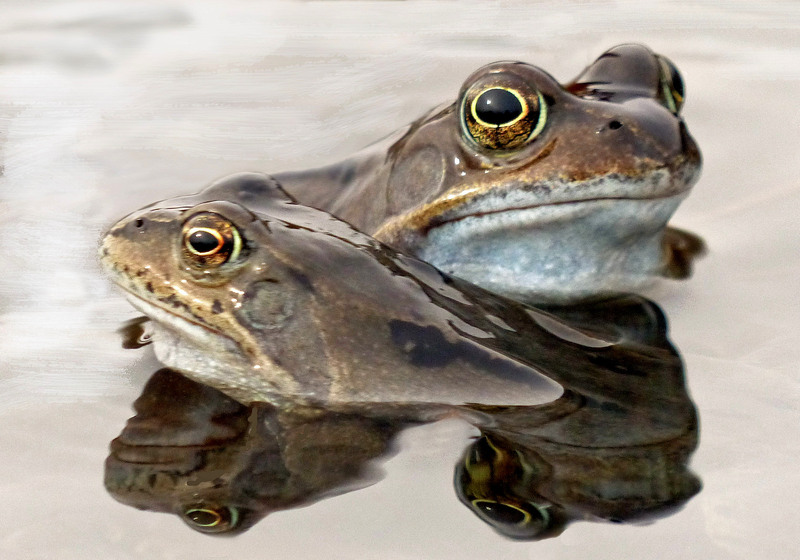 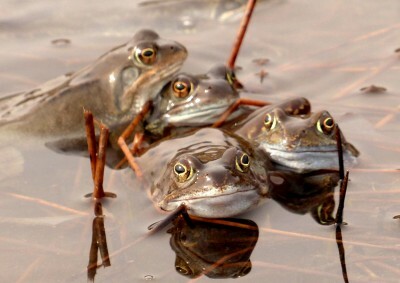 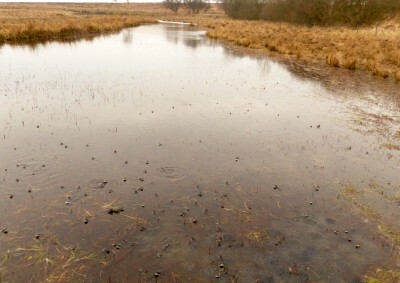 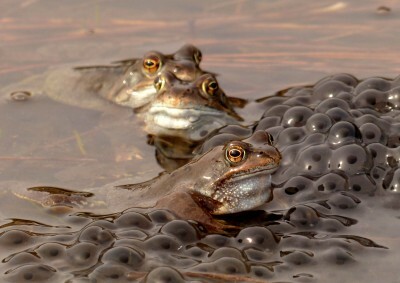 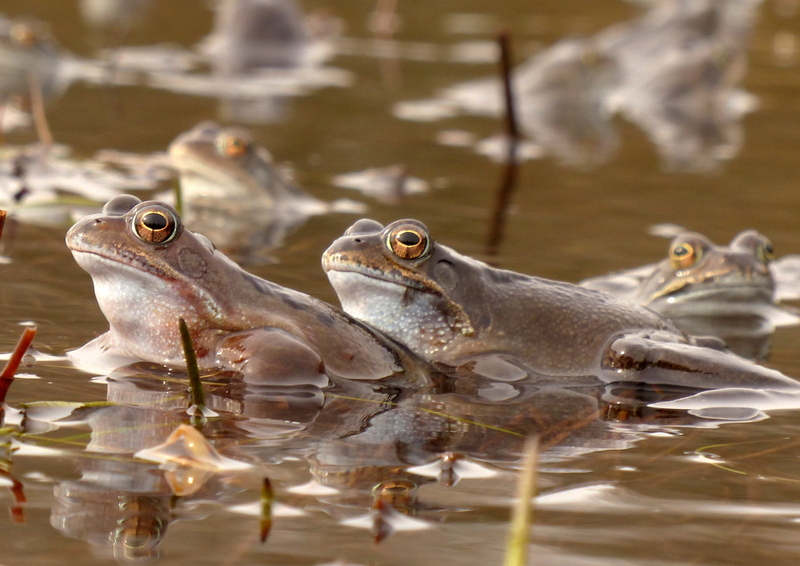 I know they tolerate each other and the toads like to camouflage their eggs in amongst the frogspawn but I am sure it would be better for all concerned if the frogs departed in the next week. 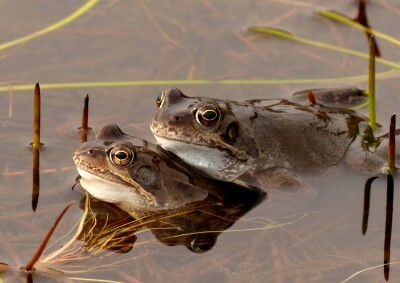 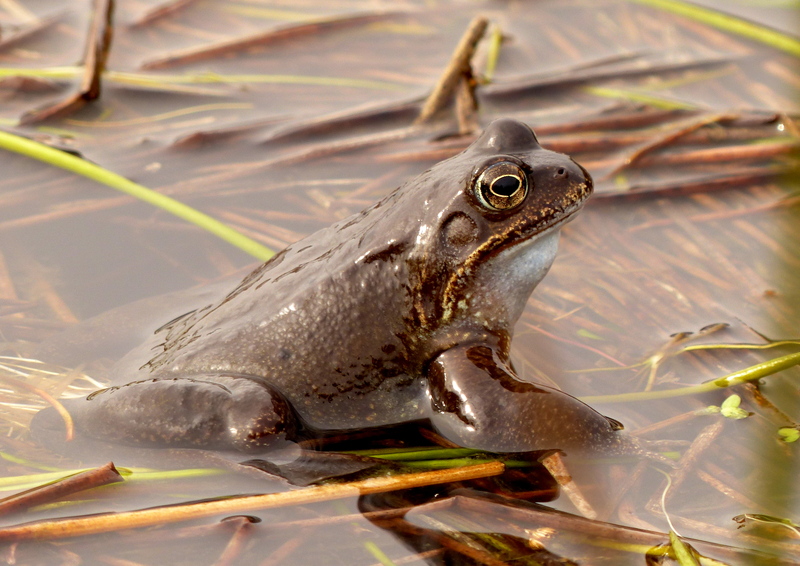 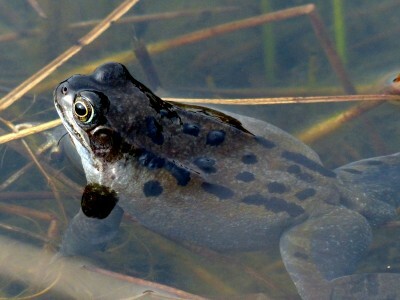 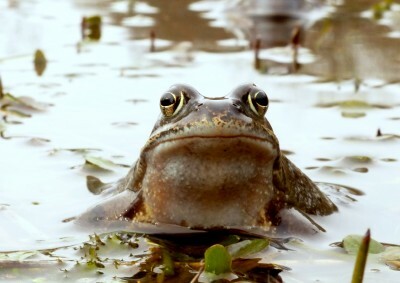 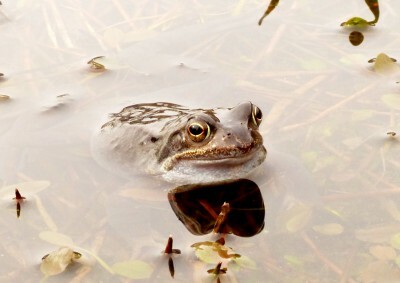 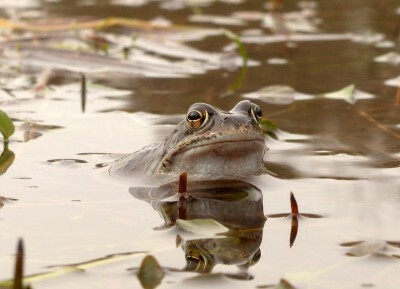 I love frogs and when you approach their mating grounds, all you can hear is the low drone like a purring cat or the monotonous whirring of an outboard motor. I know that they are not to everyone’s taste but they are amazing survivors. 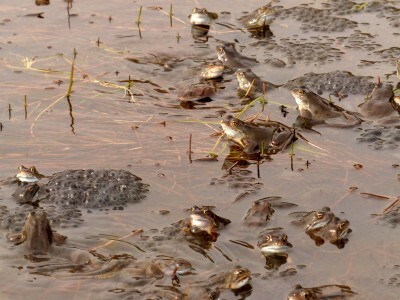 They, and their tadpoles, are on the menu for many creatures including snakes and many birds but somehow they come back, year after year, as strong as ever. 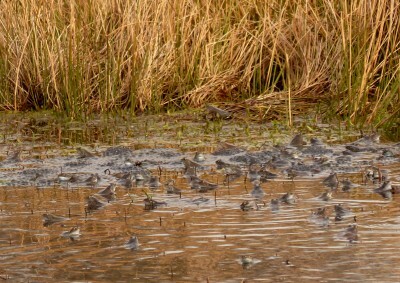 In a week or so’s time they will vanish back into the marsh and undergrowth and will be hardly seen again until next Spring.